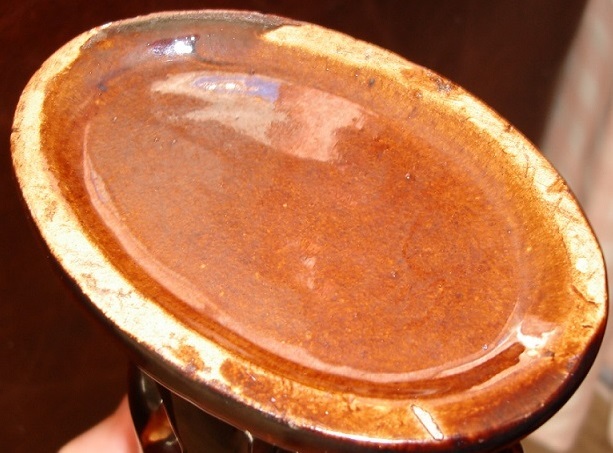 Treacle like glaze. Age wise it look old. I can see very fine and compact crazing throughout. 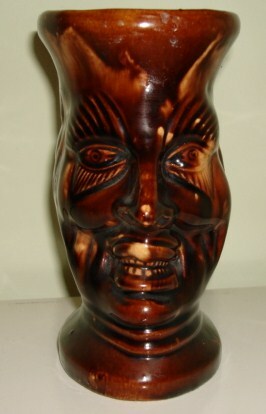 Looks kind of tiki, or maybe it's Punch from Punch and Judy? There's one that's been listed on ebay for awhile, but they don't know much about it. 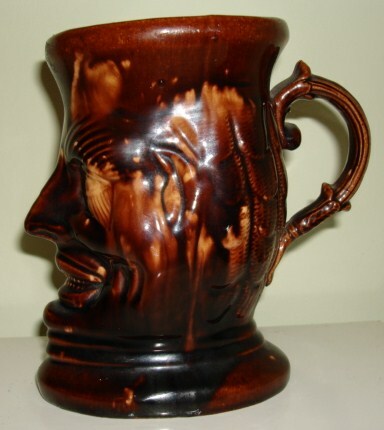 Yes, search Antique Rockingham Toby Jug. Ah, for some reason it only appears on the American Ebay, i was using the UK one. Seems to be the Duke of Wellington.